Placing the responsibility for investigations of complaints of class discrimination at state agencies under the Governor’s Office of Employee Relations (GOER). Some of these plans were outlined in the 2018-19 state budget. Why is CSEA Calling Me? The Legislative & Political Action Department has been calling members to inform them of the date change for the September Primary Election to Thursday, September 13, and to conduct polling. Unions don’t only benefit union members, they benefit the entire middle class. 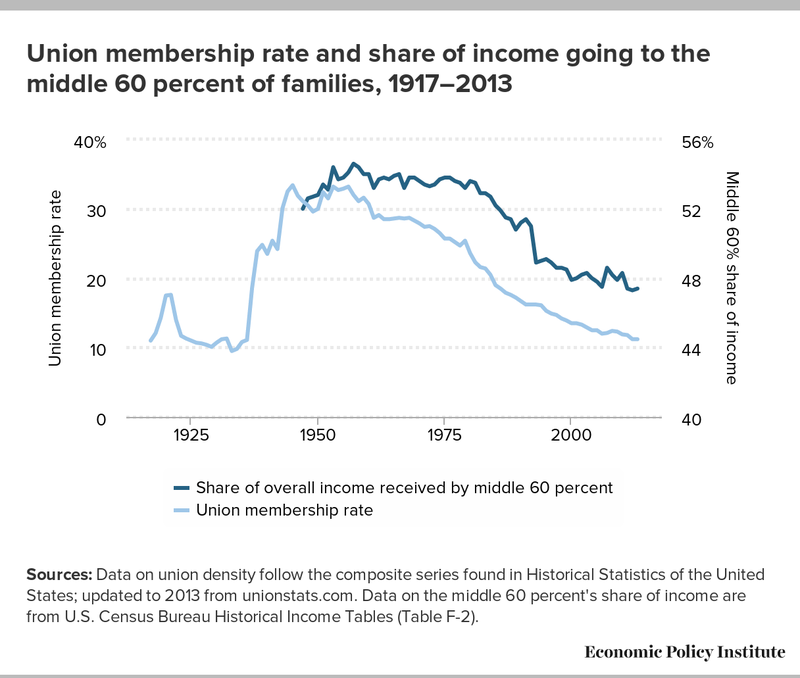 The decline in union membership from the 1950’s to today closely mirrors the decline of income going to the middle 60% of families, according to the Economic Policy Institute.